Armon Luchterhand, an area veteran, will be one of three recognized by the Neillsville Legion for April. Luchterhand was born in Marshfield. He attended Happy Hollow School for grades one through six. He later went to Neillsville Side School for grades seven and eight and graduated from Neillsville High School in 1969. 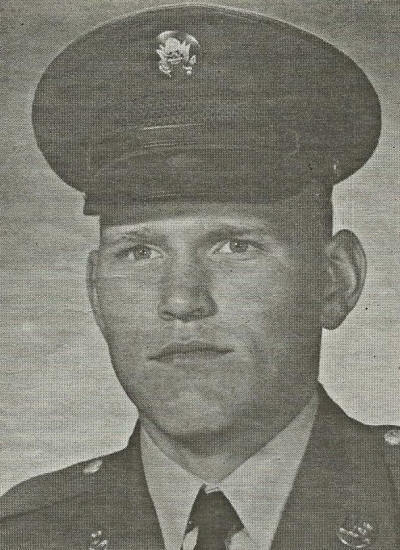 Luchterhand enlisted in the Army on delayed enlistment and attended basic training at Fort Lewis in Washington in June 1969. He had advanced infantry training at Fort Ord in California and Fort Sill in Oklahoma to be a truck mechanic. He was promoted to Specialist 4th Class. In January 1970, he was sent to Long Binh, Vietnam, to the 71st Transportation Battalion and 368th Transportation Company. He worked as a mechanic at the battalion motor pool. Luchterhand was promoted to acting sergeant, and in July 1971, he was transferred to the Phu Bai Combat Base to the 2nd Maintenance Company where he worked as an inspector. In February 1972, Luchterhand was discharged. He returned to Neillsville and worked for Mid-State Truck Service, Plautz Brothers and Kuhl Implement as a mechanic. He also worked as a carpenter for Elmer Guenther. Luchterhand moved to Aniwa and was a semi-truck driver but moved back to Neillsville in 1980 and worked for Kuehn Implement and Cenex. He now works at the Clark County Courthouse and TCR Power Products. Luchterhand is married to his wife, Mary. He has three children – Matt, Doug and Tim. He also has two step-children – Craig and Jenny. He has 12 grandchildren. Luchterhand is a member of the Veterans of Foreign Wars. Luchterhand will be honored by the Legion with Dave McDonald and Dave Flynn this Monday, April 1, at the American Legion Post 73, 6 Boon Boulevard, Neillsville. A social hour starts at 4:30 p.m. and there will be a potluck at 5:30 p.m.